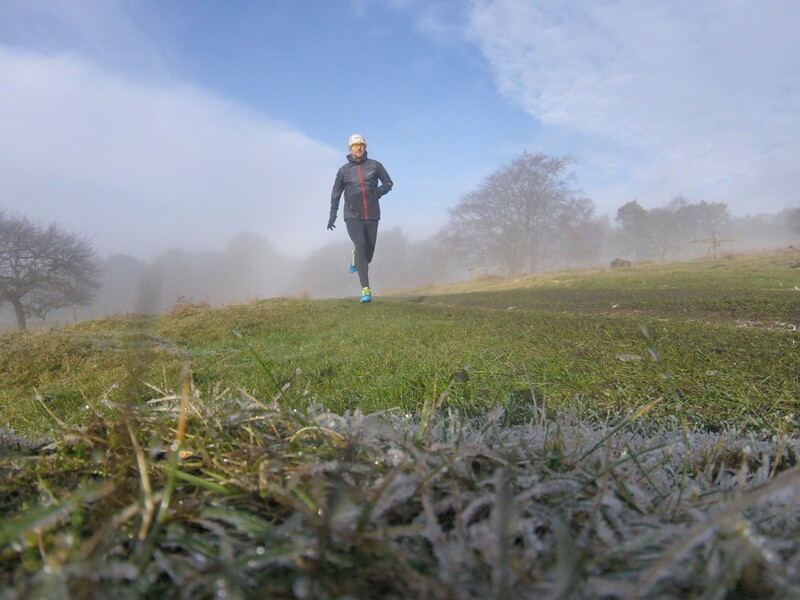 Windproof running jackets are usually very thin and lightweight and offer little thermal protection to the wearer. 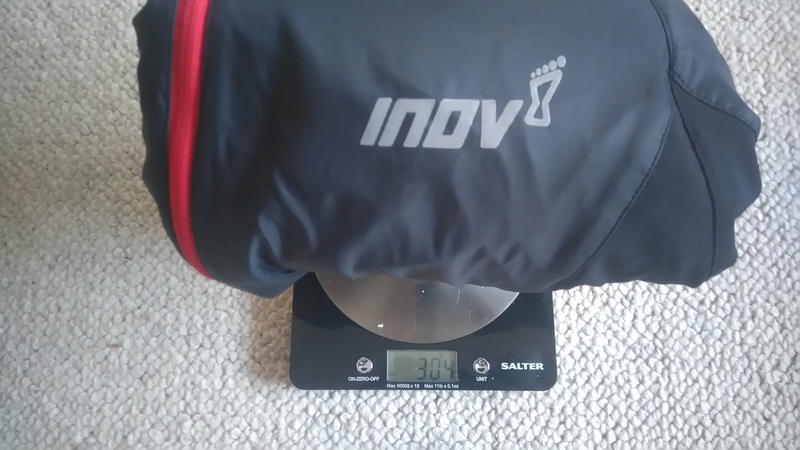 The Inov-8 AT/C Softshell Pro FZ is different. It is made with a mix of materials; Pertex Quantum® which is the type of fabric you expect to find in a windproof and Pertex Equilibrium® which is a stretchy softshell fabric. These materials are zoned so as to give both protection from the wind and offer more warmth than in a traditional windproof. It is designed for cold, windy days when you need more protection from the cold than your regular windproof allows. “I’d wear that every day!” Rather than being a shapeless windproof the Softshell Pro FZ has a tailored look and it wouldn’t look out of place if you wore it down the pub. 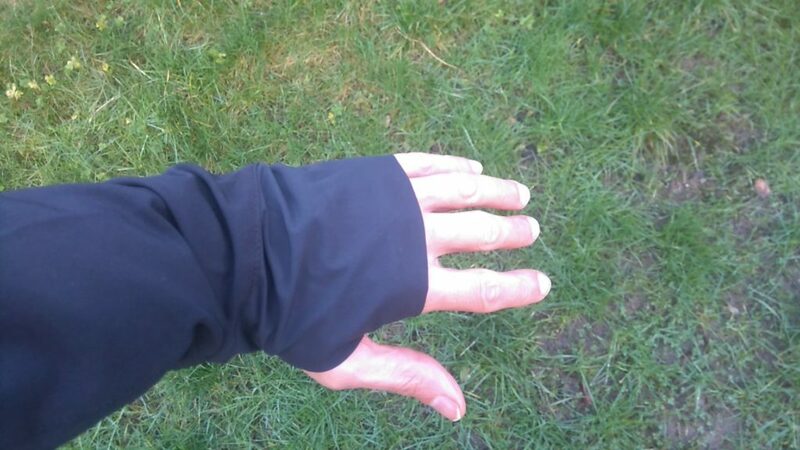 The 4 way stretch softshell allows a nice snug fit without feeling restrictive. 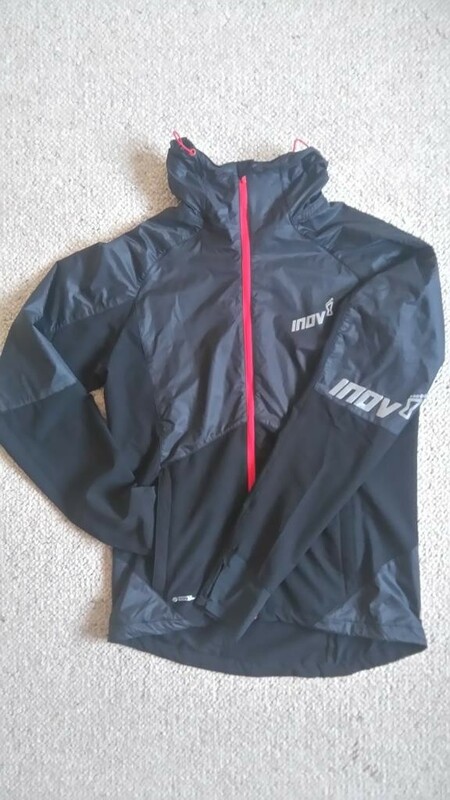 The jacket feels more substantial than a flimsy windproof and my size XS (well done Inov-8 on catering for us small folk!) weighed just over 300g. One of the things I like most about the jacket is the hood. Often jackets have a hood but no way of tightening it which means that in very windy conditions it flaps around at best or even blows down. 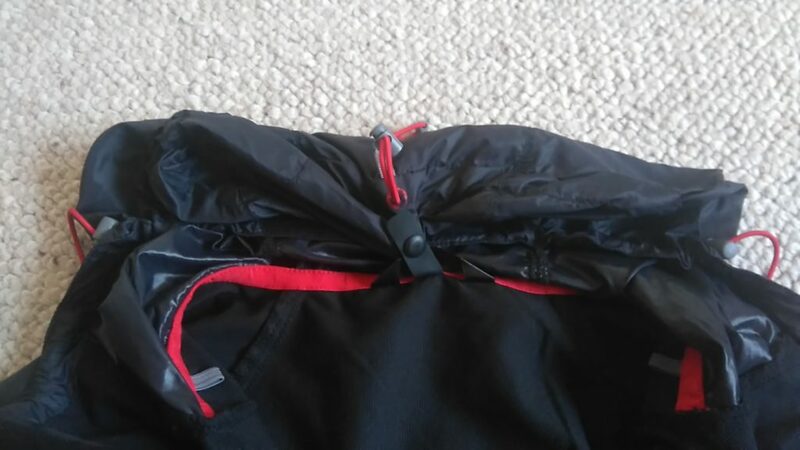 No such problems here as the hood has a rear volume adjuster and two elasticated tensioners at the front allowing it to be fastened down nice and tight. This also lets you twist your head and still see where you are going. a hood that stays put! When not required the hood can be rolled back and kept in position by a small press-stud to prevent it flapping around. The cuffs can be extended to cover the back of the hands and held in place with a thumb loop. This results in a tight fit which is great for keeping draughts out of your sleeves but if you wear a watch you’ll need to put it on over the jacket if you want to look at it! I’ve been wearing the AT/C Softshell Pro FZ for a few months and in a range of conditions including cold, cloudy winter days and crisp, frosty winter mornings. 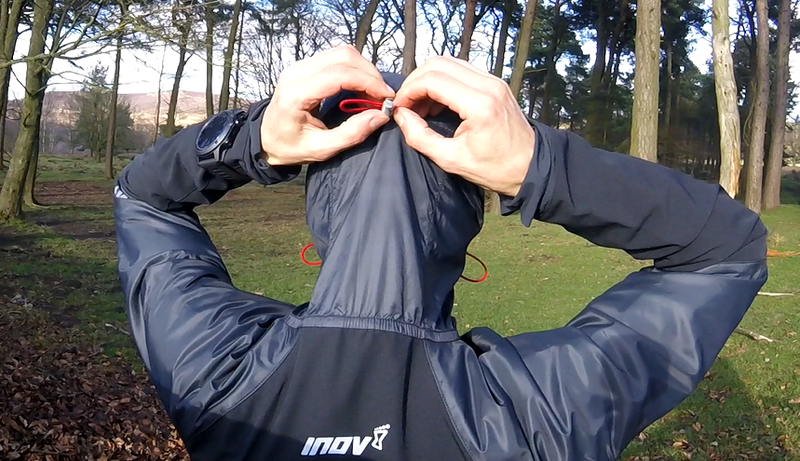 I’ve worn it with the hood up and down and in both still and windy conditions. 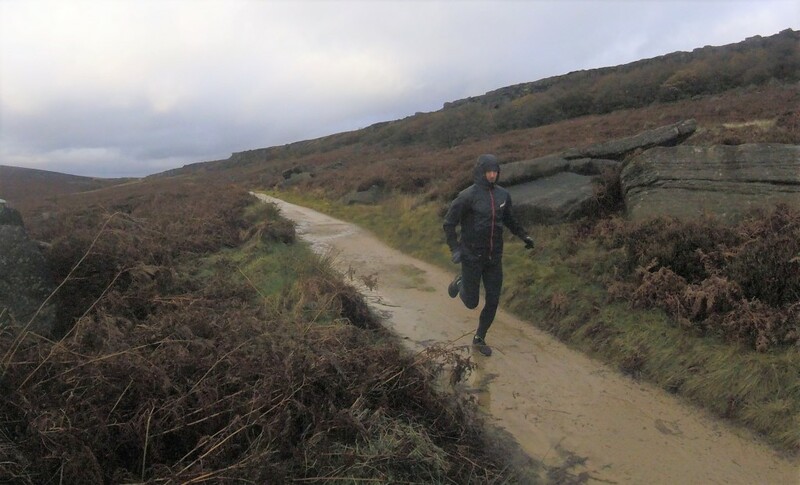 The Pertex® material wicks moisture away even when running fast and the close fitting, stretchy material gives an athletic fit that hugs the body and doesn’t billow in the wind unlike some windproof jackets. The softshell material certainly adds a bit of warmth, so much so that one morning after early fog had burned off I felt a bit too warm. What would I use it for? 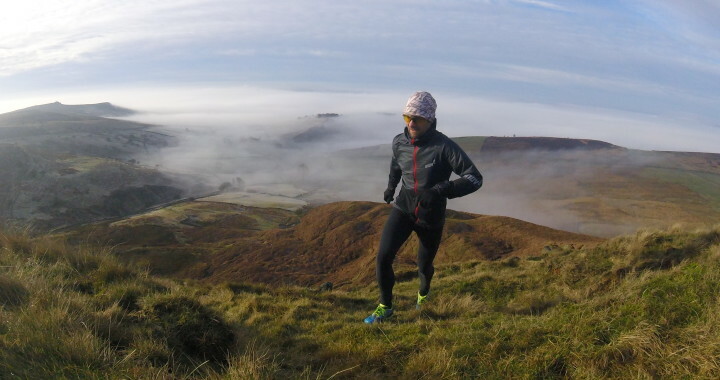 The softshell is not designed as a super-lightweight windproof, it is intended as a more substantial running jacket to be worn in colder, windy conditions. It is great for winter days when you know that you want added protection from the cold. It would also be good for longer runs when you might not be moving particularly fast and thus not generating as much heat, for example on something like a Bob Graham round. 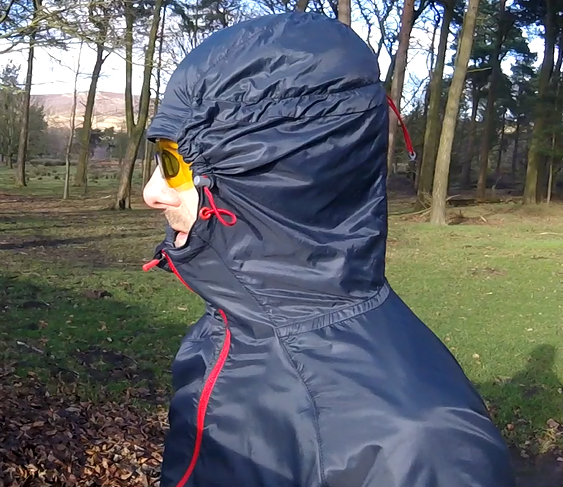 It is also ideal for cold days out in the mountains and will work well under a waterproof as an additional mid layer. It is also good for wearing pre or post race and will even look good worn as a casual jacket. 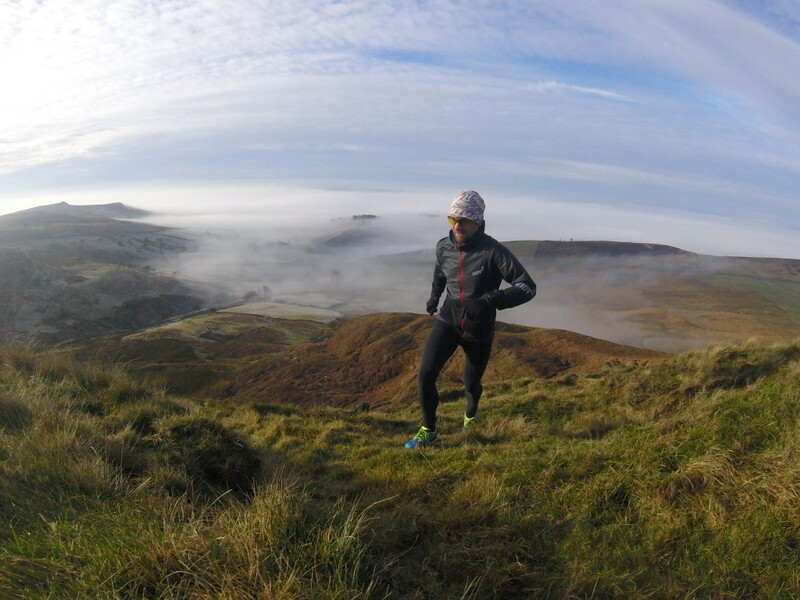 The Inov-8 AT/C Softshell Pro FZ is an ideal jacket for cold, dry winter days or for mountain running in cold, windy conditions. It is comfortable and well designed with useful features. It looks good too and it almost seems a shame to wear it for running – I’d happily be seen wearing it to the pub! 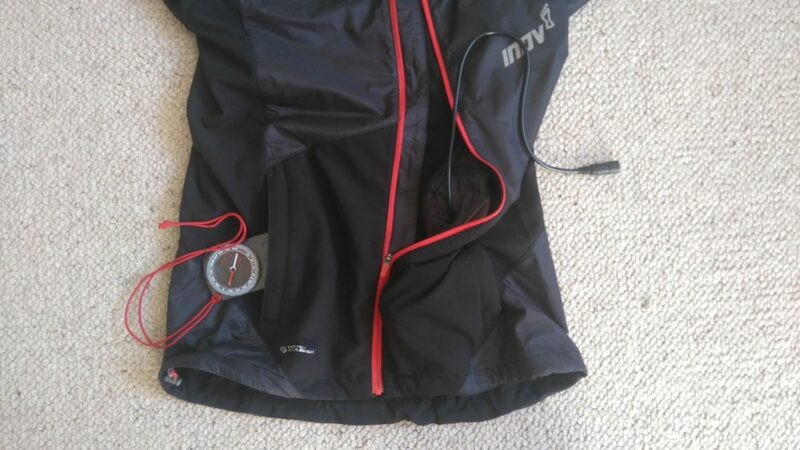 Posted in Clothing, Equipment, Reviews and tagged inov-8, softshell, windproof. Did you get your head round the hood rolling press-stud? Seems like it’s in the wrong place! So you end up with a loose roll. Or maybe I’m being stupid – entirely possible. It seems to work ok for me. Although having said that I often run with the hood down but not buttoned back. I’ll have another look next time I wear it.